Help! Where should I set up my petition? From time to time I get people asking which platform they should use to set up their campaign petition – it’s a fair request as a quick search will pull up a number of different options for a petition starter. 1. Does the platform let you communicate with those who’ve signed your petition? It’s great that people are signing, but as your campaign develops you might want to get in touch with them again – to ask them to take another action for you, or feedback on the success you’ve had. 2. What support can the platform provide you? Some of the sites you can choose to host your petition on are able to sometimes provide extra support to you – that could include help getting media coverage or meeting with the person you’re targetting with your campaign. 3. Can the platform help promote your campaign to others? 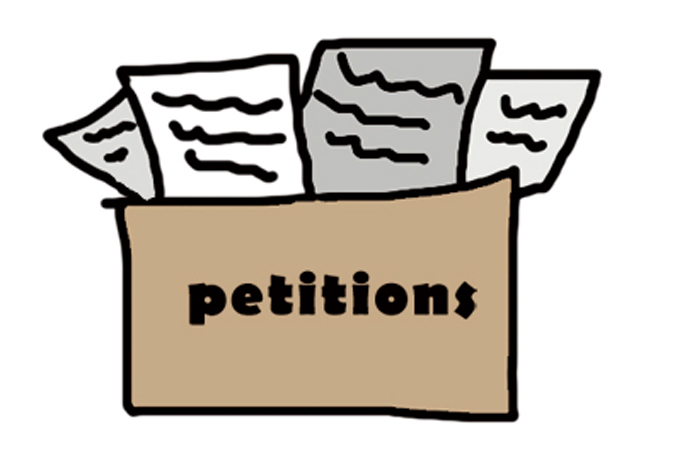 Growing your petitions is going to be important, can the platform you’re hosting your petition on help with that, or will the only traffic to your petition be whatever you can generate? 5. Does the platform offer any other functionality? Are you just able to set up a petition to a single target, or are you able to engage multiple targets with your action – or let people select their local MP. That can make a big difference in your approach and effectiveness. Change.org – as the worlds biggest petition site you’ll find petitions for almost everything on the site – which you might consider a downside as you’ll find petitions on the site for and against most topics. But being big comes with some advantages – they’ve developed some really cool tools to help get your petition started, some very smart was of pushing your petition to others if it’s gathering momentum and you can also explore how you can raise money to support your campaign as well. Change is run as a B-corp, which is a new kind of business that balances purpose and profit. and that means they’ve got a small staff team in the UK that can sometimes support petition starters – they have a real knack for getting great media coverage for some campaigns. 38 Degrees – alongside the member-led campaigns that 38 Degrees run, you can host your own petition on Campaigns By You (https://you.38degrees.org.uk/). You’ll get access to many of the same tools that the campaigner at the organisation use, and they’ve got a dedicated team to support those petitions that are growing – providing support and sometimes sharing them with a wider group of individuals from their list. There are some limits on how often you can contact those who’ve signed up your petition – not a bad thing as people don’t want to be messaged too often, but the interface is really easy. A great site to approach if you’re campaign is about a local issue in the UK – I’ve seen some excellent campaigns win on Campaigns By You when targetting local authorities. Care2 – the folk behind The Petition Site (full disclosure – I’ve worked with Care2 in the past in my professional work) is another social enterprise committed to helping build a community of change makers, with a more explicit focus on standing with ‘humanitarians, animal lovers, feminists, rabble-rousers, nature-buffs, creatives, the naturally curious, and people who really love to do the right thing’ and as a result of that, the petitions they select feel more curated than on change.org. Care 2 is US-based, and you notice that on your first visit to www.thepetitionsite.com, but they have a small team in the UK dedicated to supporting petition starters, again can provide many of the same resources as 38 Degrees and Change.org, plus access to a big network of people who are keen to sign your petition if it starts to grow. They’ve also got some ace tools and guides in their Activist University. Parliament Petition Site – the knowledge that getting 10,000 signatures will get a response from Government a goal to get you going can be enticing – but the site lacks much of the functionality of those I’ve recommended above, and it’s hard to build your movement if you’re not able to communicate with it. Obviously, it’s also only possible to petition Parliament, so the focus is clearly limited – and once you get a response from Government it’s hard to do much, plus when your campaign is over there is no access to that data to move people on to another issue. I’d also caution against similar functions that many Councils have – just because they are ‘official’ it doesn’t always make them the most effective to use. iPetition – I don’t know much about the company behind this site – Angle Three Associates – and there isn’t much to be found from a quick search of the US equivalent of Companies House. So I suspect, their main focus is collecting data which can be sold on. The site has some of the same functionality as the other sites I’ve recommended, but nothing close to the support you’ll get from them. And finally, if you’re looking for some smart people writing about how to make the most of your petition, then I recommend a read of this.